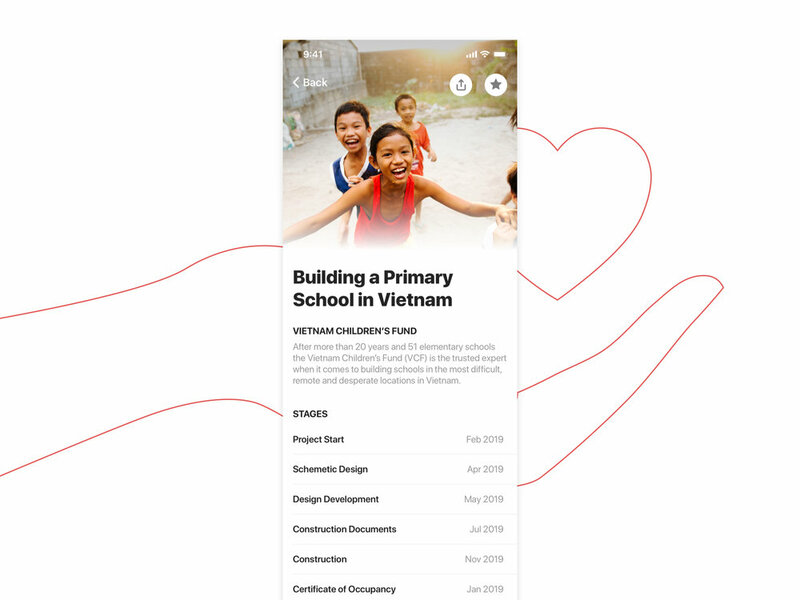 We are building a blockchain-powered platform that donors can donate to a variety of charity projects and track their donated funds toward projects’ completion. I am in charge of UI/UX design and product strategy, and will be involved in front-end development. If you remember how people used to order take outs, that's where we are with donations today. Only a few large organizations provide standard and user friendly donation processes, same as the biggest pizza chains. The rest of the charities are unorganized and hard to be discovered. Once people find one they stick with it, just like the Chinese take out menu on your grandma’s freezer door. There is no discovery of new charity projects and people go to separate websites to make donations. You also don’t know if your contribution actually would make an impact. Donating experience is stuck in the early 2000s. User don’t know if their donation can actually make an impact. Donors don’t know where to discover new non-profit projects. Managing donating to different organization is manual. We talked to our friends at different non-profits, charity organizations and everyday donors who are required to donate by their religions. Our hypothesis were confirmed that donors want to be ensured that their contribution can actually make an impact. However, we were surprised to learn that regardless of how credible a person or organization can be, they can still mismanage money. When donation and money management are done manually, human errors lead to mistakes. We also were surprised to learn just how skeptical donors in other countries are of their donation prospects. In one instance, a hospital in Brazil receives donations based on the fact that the family who runs the hospital is known to be trustworthy. We want to ensure that the hospital itself can have this same level of trust by providing credible tracking of its funds to ensure transparency and foster greater trust. Uses blockchain to track results at low cost and encourage recurring donations. Has a portal for charities to launch fundraising campaigns to all users on the platform at real time. Offers a variety of charity organizations on the same interface, so you can compare projects, research past results, see ratings and make better donating decisions. In order to define the core functionality of the app, to discover a variety of projects in the same space, I started the design process from the home page. From there, users can explore top-rated organizations and the latest fundraising projects. When you are ready to donate, the App will prompt you to enter amount, while the project info is still on display in a card. Once you confirm the donate amount, you will enter the payment page. We are currently developing how charities mark stage completions and the user-side tracking interface.